Rocky Johnson displays his grand slam swing at the International tournament at the Palm Beaches, Canada 12U. We have heard some great names of ball players over the years. Kyle “Rocky” Johnson is a young un, but he qualifies for the name-game group. Razor Shines, Cannonball Titcomb, Bud Weiser, Stubby Clapp (Windsor, Ont.) and Moonlight Graham. Well, Rocky Johnson is a great baseball name. And it turns out … he’s not a bad hitter either. 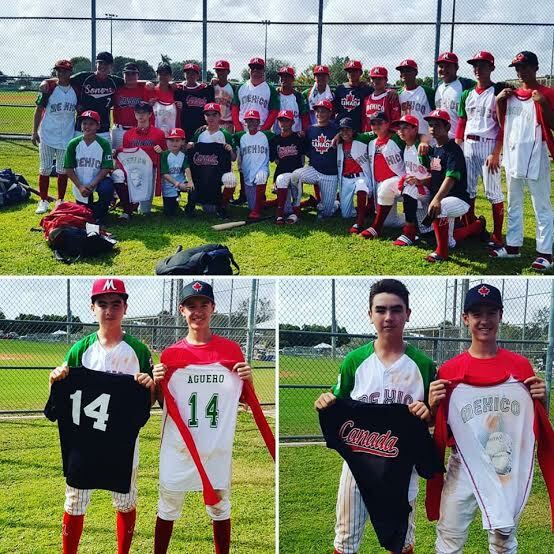 After playing in the International tournament at the Palm Beaches, Canada 12U played an exhibition game. 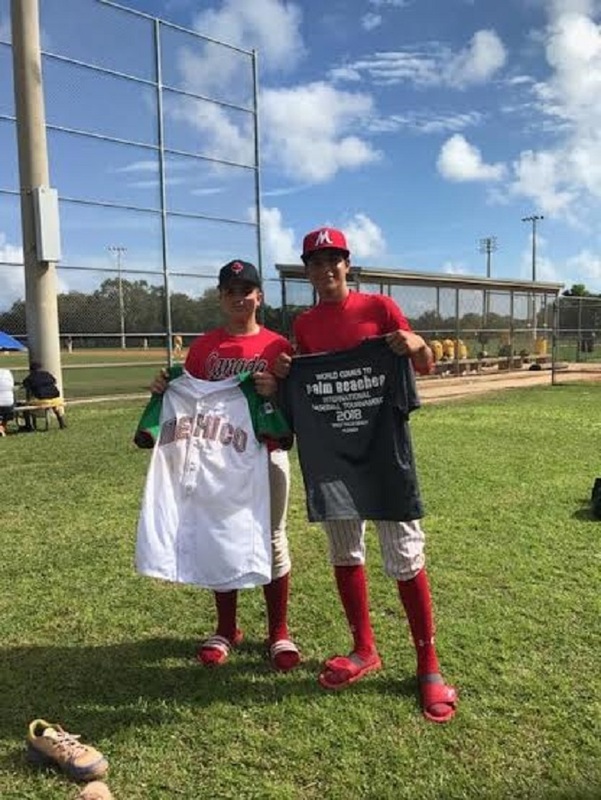 Rocky Johnson hit a pair of grand slams in a 20-13 win over a Florida All-Star travel team at Phipps Park in West Palm Beach. On the weekend, Johnson went 10-for-12, with four home runs and 17 RBIs – an unreal performance. Kyle Johnson was about five and loved a cartoon series called Rescue Heroes. He loved the character Rocky Canyon who was the rescuer in the Mountains. So, he started calling himself Rocky and it just stuck ... we get report cards with Rocky on it now. He nicknamed him own self. Canada won the nitecap 12-10. The Canuck 12U entry at Palm Beaches. The opener: Ashton Fitzpatrick pitched three hitless innings for the Canucks. but the US Virgin Islands scored a 6-5 victory, despite Rocky Johnson going 2-for-2 with a triple, a single and two RBIs. 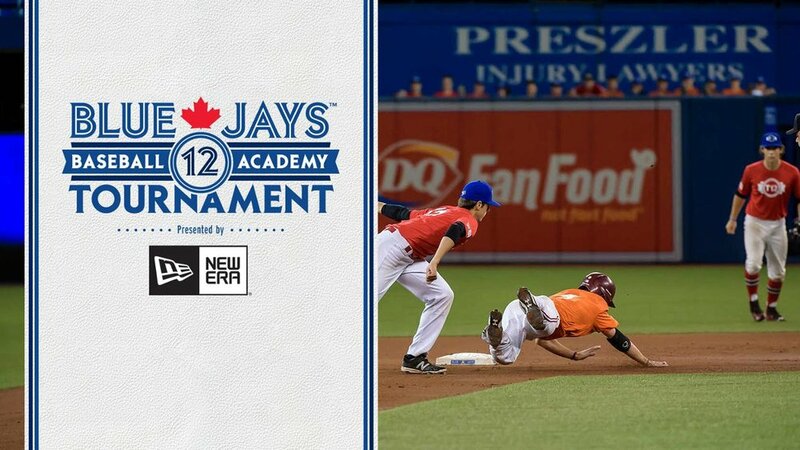 Max Wong, Chazz Grossington and Mattias LaFleche each pitched while the defensive play of the game was Aidan Chapin’s diving catch in left-centre. Win No. 1: The Rock -- Rocky Johnson -- was back at it with a triple and double in a 7-2 victory against the Cayman Islands. Ashton Fitzpatrick drove in a pair of runs. Semi-final: Venezuela edged the Canucks 6-5, despite Liam Doherty, Rocky Johnson and Ashton Fitzpatrick having two hits apiece. Doherty and Johnson each doubled. Ashton Fitzpatrick, Liam Kirsh and Liam Doherty were on the mound for the Canucks. Consolation Final: The Canucks took third place with a 9-4 win against Team USA, as Rocky Johnson again hit two home runs driving in five. Ashton Fitzpatrick doubled in three. Keeping Team USA under control were the trio of Max Wong, Mattias LaFleche and Liam Kirsh. Exhibition DH: Besides Johnson’s two grand slams in the opener, Fraser Canavan, Max Wong and Ashton Fitzpatrick all homered. Raine Kreklewetz, Noah Lee, Fraser Canavan, Chris Baxter, Matthew Paolucci, Max Wong and Aidan Chapin had multi-hit games. Matthew Paolucci, Noah Lee and Raine Kreklewetz did the mound work for the Canucks. And the Canucks won the nitecap 12-10 as Chris Baxter went 3-for-3 with a homer and two singles, as Ashton Fitzpatrick also homered. Aidan Chapin, Fraser Canavan, Chris Baxter, Noah Lee and Philip Cheong had multi-hit games. Mattias LaFleche, Chazz Grossington, Philip Cheong and Rocky Johnson all pitched. The Canuck team was coached by Glen Johnson, Dwight Chapin, Chris Doherty and Tovi Grossington. Glen Johnson, retired as the CFL’s Senior Vice President after 28 seasons; 24 as an on-field official. He worked 416 games, earning 11 Grey Cup assignments. Johnson was inducted into the Manitoba Baseball Hall of Fame in 2016 in Morden, Man. He worked the bronze medal game at the 1996 Olympic Games in Atlanta, worked the Northern League for four teams. Johnson was Baseball Canada’s Umpire of the Year in 1993 and Umpire in Chief in two years later. The US Virgin Islands beat Venezuela in the final. The Beaches: The event -- staged at five different ages levels 10U, 12U, 15U, 18U, and 18 -- was held at the new Fitteam Ballpark of the Palm Beaches, spring home of the Houston Astros and the Washington Nationals. The 25 countries on hand from five continents were Dominican Republic, Puerto Rico, Team USA, Venezuela, Italy, The Bahamas, Jamaica, India, Nigeria, Peru, China, US Virgin Islands, Cayman Island, Russia, Trinidad & Tobago, Honduras, Ecuador, Lithuania, Pakistan, Bolivia, Columbia, Haiti, Aruba, Bonaire and Canada. Pals Dominic Lora, left, Keiran Martini-Wong and Lachlan Maude before heading south. Obviously one player removed his hat from Gilligan’s Island when the games began. Photo: Saskia Martini-Wong Studios. 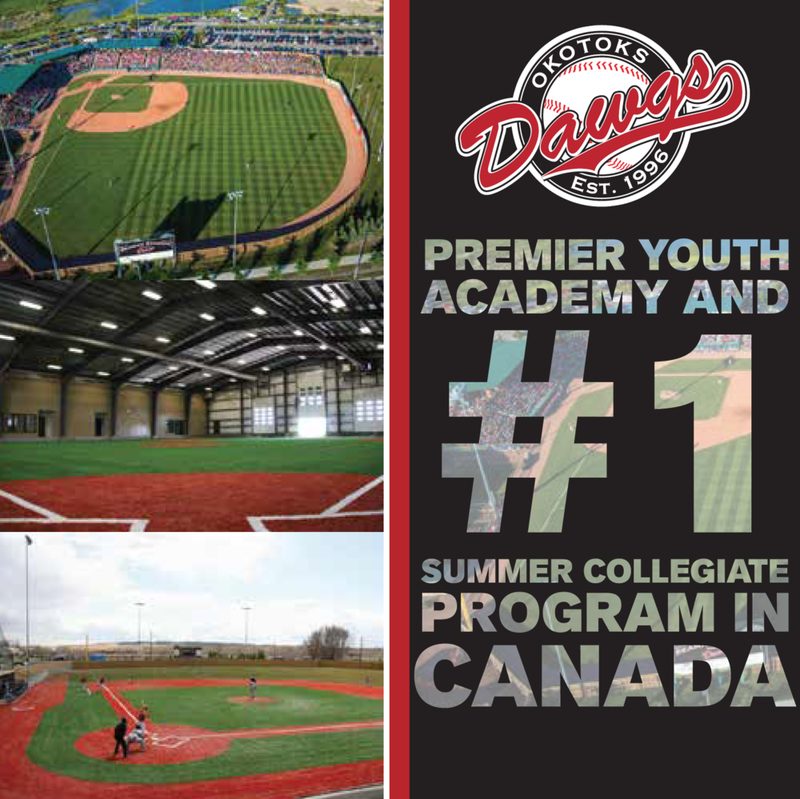 15U: The Canadian team, composed of players by Oshawa, Etobicoke, Stouffville and Peterborough, opened with a 10-6 loss to Mexico which scored seven in the first. Keiran Martini-Wong pitched three complete innings, allowing two hits and a run, walking one and fanning a pair. Martini-Wong, who was also honoured when his Etobicoke Rangers competed the Cal Ripken tournament in Myrtle Beach a few years ago. Eric Lanoue pitched 2 1/3 innings allowing one run on two hits and a walk. Griffin McMillan started, allowing seven runs on one hit and three walks. Jacob Miller pitched an inning allowing one unearned run. Rich Kreklewetz and Owen Stevenson each had a pair of hits, while Liam McTague doubled in two runs and Stevenson doubled too. Emile Gennaro singled and drove in a run, while Martini-Wong drove in one. Other hits went to Nicholas Woodcock, Luke Shahin and Colin Cymbalista. Eric Rutherford carries Keiran Martini-Wong off the field. Photo: Saskia Martini-Wong Studios. Walkin’ it off: The Canucks needed Mac Melvin to contribute and contribute he did hitting a walk-off fly ball in the bottom of the seventh for a 7-6 win against Team Bahamas. Jacob Miller went 3-for-4 with a double and an RBI, while Griffin McMillan and Dominic Lora each had a pair of base hits. Daniel Savage and Melvin each singled, knocking in a run. Liam McTague and Eric Lanoue had a hit apiece, while Martini-Wong drove in a run. Rich Kreklewetz pitched 1 2/3 innings gaining the win. He gave up two runs -- one earned -- on two hits and two walks as he fanned one. Nicholas Woodcock had an impressive start working three innings without a hit as he gave up two runs on six walks, while fanning six. Owen Stevenson pitched three innings allowing two runs on three hits, fanning three. Another win: Next, came a 7-4 win over Girls Travel Baseball18U. Owen Stevenson led off with an infield single, stole second and following a walk to Griffin McMillan, Jacob Miller hit a run-scoring fly ball to break the tie in the three-run sixth. Nicholas Woodcock and Eric Rutherford followed with a run-scoring singles. Ruterford later stole home. Emile Gennaro doubled and drove in two runs, while Griffin McMillan doubled to knock in one run. Nicholas Woodcock had two hits with an RBI. Owen Stevenson also had two hits. Rutherford singled in a run, while the other hits went to Dominic Lora and Lachlan Maude. Jacob Miller started working 2 2/3 innings as he allowed three runs on one hit and six walks, while striking out a pair. Workhorse Keiran Martini-Wong gained the win pitching 4 1/3 allowing a run on one hit and two walks. Aruba, Aruba: The Canucks lost 8-1 to Aruba in the sem-final. Owen Stevenson singled on a 0-2 count, scoring a run in the second for the first run of the game, but after that, the rest of the game belonged to Aruba. Nicholas Woodcock pitched for the Canucks allowing six hits and three runs over four innings, as he struck out seven and walking one. Emile Gennaro threw two innings. Griffin McMillan, Owen Stevenson, and Liam McTague had the Canuck hits. Canada-Aruba post-game picture. Photo: Reyna Stevenson. Etobicoke players were hanging around after the Mexico-USA game on the Saturday. The players started taking pics and Dominic Lora began communicating in Spanish. Luke Shalin after the jersey exchange with a player from Mexico. Phhoto: Reyna Stevenson. The next day, Mexico had a friendly game before and when Lach Maude showed, one of the Mexican players from the day before came offered his team jersey. It precipitated the entire team Canuck team exchanging jerseys/sweaters with the team from Mexican team. Meixco aad Canuck players switch uniforms, like Canuck No. 14 Owen Stevenson wound up with a No. 14 from the Mexico team. Photo: Reyna Stevenson. Finale: Rich Kreklewetz went the distance to beat India 11-1. In his five-inning, 85-pitch outing he allowed one run on two hits and four walks. Kreklewetz struck out seven. Jacob Miller homered, knocking in a pair of runs, while Griffin McMillan had a pair of hits, including a triple and Dominic Lora had two hits including a double. Mac Melvin, Liam McTague and Emile Gennaro each singled and drove in a run. Owen Stevenson also singled. Former Toronto Blue Jays, brothers Rich, left, and Rob Butler guided the 15U team in Florida. Photo: Reyna Stevenson. The Butler brothers; Rob and Rich Butler, who run the Butler Baseball Academy. Rob played parts of four seasons with the Toronto Blue Jays and the Philadelphia Phillies in 109 games. He pinch hit for Todd Stottlemyre in the third inning of Game 4, hit a ground ball which forced Pat Borders at second and later came around to score on a Devon White’s two-run single, which cut the Phillies lead to 7-6. Toronto rallied from a 14-9 deficit to win 15-14. And in Game 5, he pinch hit for Juan Guzman, hitting a single to right off Curt Schilling, chasing Willie Canate, who pinch ran for Pat Borders, to third. Schilling then induced a ground ball from Hall of Famer Rickey Henderson to get Canate at the plate, struck out Devon White and retired Hall of Famer Robbie Alomar on a ground ball. In nine seasons in the minors he batted .300 or better four times: class-A St. Catharines (.338), class-A Dunedin (.358), triple-A Scranton/Wilkes-Barre (.300) and double-A Knoxville (.337). Rich Butler played parts of three seasons with the Blue Jays and the Tampa Bay Rays, 86 games in all. He hit seven home runs, his first facing Bryce Florie in an 11-8 win over the Detroit Tigers at Tropicana Field. Great names: Boof Bonser, Mysterious Walker, Oil Can Boyd Sugar Cain and Mordecai (Three Finger) Brown. It’s early but to great names add Rocky Colavito, Rocky Nelson, Rocky Bridges, Rocky Stone ... and now Rocky Johnson.